This page defines our policies in relation to the WHOIS valid from 11 May 2018. Billing Contact, or Registrar, means the party responsible for the payment or registration and renewal fees, as chosen by the Domain Holder. IEDR means the IE Domain Registry CLG, who is responsible for the management of the IE namespace. Legal Person, for the purpose of this Policy, includes any incorporated entity, commercial individual or entity or State Agency/Statutory Body. 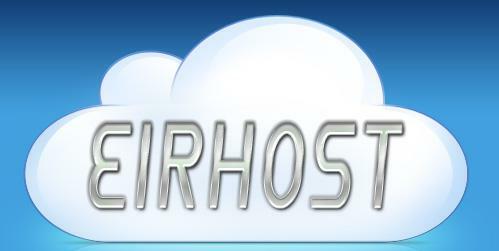 Nameservers are used to host a website. For .ie domains, a minimum of two are required with each request for registration, and these must be configured in accordance with RFC protocols 1034 and 1035, and with authoritative zones to host the domain in question. Status refers to the billing or locked status of the domain name. Technical Contact is any party appointed by the Administrative or Billing Contact for a domain, which is permitted access to the IEDR Console in order to make nameserver changes. The IE Domain Registry CLG (IEDR) is responsible for the management of the .ie namespace and administers the database of .ie registered domain names. The IEDR provides the WHOIS as a publicly viewable register solely to allow users to obtain information about the existence and status of the domain name. Where the Domain Holder is a Legal Person (see Definitions for clarification), the identity of this party is published on the .ie WHOIS output for the general purposes set out below, but always subject to the restrictions listed below. This service is available to any individual or organisation, provided the rules of acceptable use are followed. The IEDR provides the WHOIS service free of charge. Access may be withdrawn at any time. Use of the WHOIS by any means is subject to adherence to this policy and its associated rules. You should not access the .ie WHOIS facility or use the data returned by a WHOIS query if you do not agree to this policy and its associated rules. The WHOIS database and underlying register are Database Right and Copyright © of IE Domain Registry CLG, 2018. All rights reserved. The WHOIS is provided through various channels, e.g. via our website and via queries to our WHOIS server whois.domainregistry.ie. The IEDR WHOIS facility is maintained by the IEDR, and provision of this service can be withdrawn at any time, at the discretion of the IEDR. The Domain Holder’s name is also published where the Domain Holder is a Legal Person, as defined in Section 1. “Definitions”. The Domain Holder’s name is not published where the Domain Holder is not a legal person, as defined in Section 1. “Definitions”. Where the nominated Billing Contact for a .ie domain registration is an accredited .ie Registrar, the Registrar name, as provided by the Registrar, will appear in the relevant WHOIS record. An abuse contact email address field may be published on the .ie WHOIS output, where the nominated Billing Contact is an accredited .ie Registrar and has opted-in to publish this information. This abuse contact email address is to enable anyone to report allegations of online abuse, illegality, or other anti-social online behaviour in respect of a .ie domain. Where the Billing Contact opts not to publish an abuse contact email address, the WHOIS shall display “Service not supported currently”. All users of the WHOIS facility must adhere to the rules of acceptable usage, as specified in this policy. There is a “rate limiter” facility, which guards against overuse of the services by any one source in a 24-hour period. For direct connections, the amount and type of data returned varies, depending on the source IP address for each query. It is our policy to block access from IP addresses which breach acceptable usage limits. If you exceed the query limits a block will be imposed. These limits are per IP address. III. If you require a higher query rate per rolling 24 hours, please email whois@iedr.ie outlining why you need this and we will consider adding you to our whitelist. The IEDR work on the following principles, which are the core purposes of our Acceptable Use Rules. (e.g. on pricing, fees, privacy, data protection and access) are not compromised. conduct queries of a nature, rate or volume prohibited by our Acceptable Use Rules. Note that we record details about all WHOIS queries for the purposes of detecting and preventing unacceptable use. Via the external web, iedr.ie. Via a direct TCP/IP connection to external network address pointed to by ‘whois.domainregistry.ie’ in the external DNS. The IEDR do not guarantee the accuracy or availability of the WHOIS records. Any WHOIS record provided is provided on an “as is” basis without any representations or warranties of any kind. The IEDR is not liable for any damages or loss of any kind arising out of or in connection with the WHOIS or the records generated by the WHOIS or for any omissions or errors in the WHOIS records. The IEDR reserve the right to change the WHOIS records, or withdraw the service, at any time. The IEDR also reserve the right, at our discretion, to terminate or slow down your access to the WHOIS for any reason, particularly in the event of a breach of the Acceptable Use Rules or a failure to adhere to, or accept, these terms or any part of them.